(CelebrityAccess MediaWire) — Nelly charted new musical territory on September 23 as he became the first solo artist ever to have two new albums debut in the No. 1 and 2 positions simultaneously on the nation's pop albums chart. Suit and Sweat claimed the No. 1 and No. 2 spots, respectively, on Billboard's Top 200 Albums chart with total sales of 738,000 copies–396,000 for Suit and 342,000 for Sweat. With the addition of overseas sales, Sweat and Suit albums have sold over one million albums cumulatively in the first week. According to Geoff Mayfield, Billboard magazine's director of charts/senior analyst said, "Since 1963 only an elite group of artists including the Beatles, Paul McCartney and Simon & Garfunkel have had albums lock the No. 1 and 2 positions simultaneously, but with the exception of Guns N' Roses in 1991, no one else debuted in the top two slots in the same week." 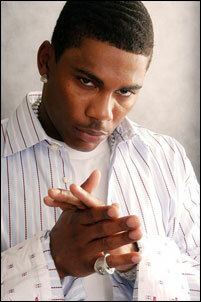 Nelly's previous album, 2002's Nellyville, sold 714,000 copies in its first week and a total of 6.2 million copies to date.